One Family. Four Generations. 100 Years of Texas History! 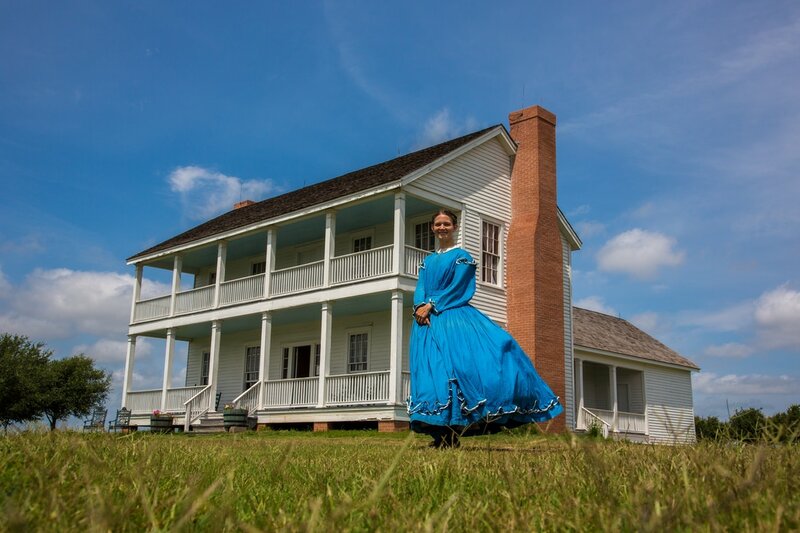 Just 30 miles southwest of downtown Houston, the George Ranch Historical Park is located on a 23,000-acre working ranch that features historic homes, costumed interpreters, livestock and lots of hands-on activities! ​Hours: Tuesday - Saturday, 9 a.m. to 5 p.m. 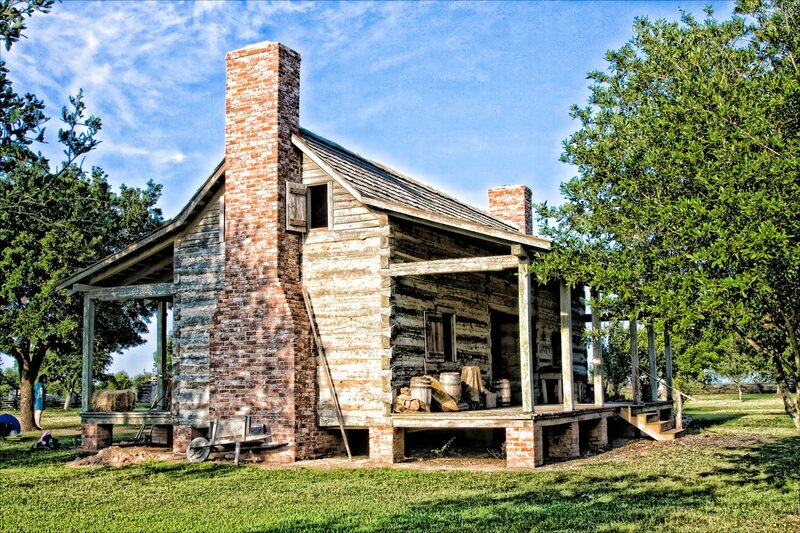 The George Ranch Historical Park showcases Texas history through the eyes of four generations of one family. Embark on a trip back in time and discover Texas in the 1830s, 1860s, 1890s and 1930s! ​Please allow 4 to 6 hours for a complete tour of the Park. Connect with the George Ranch Historical Park! 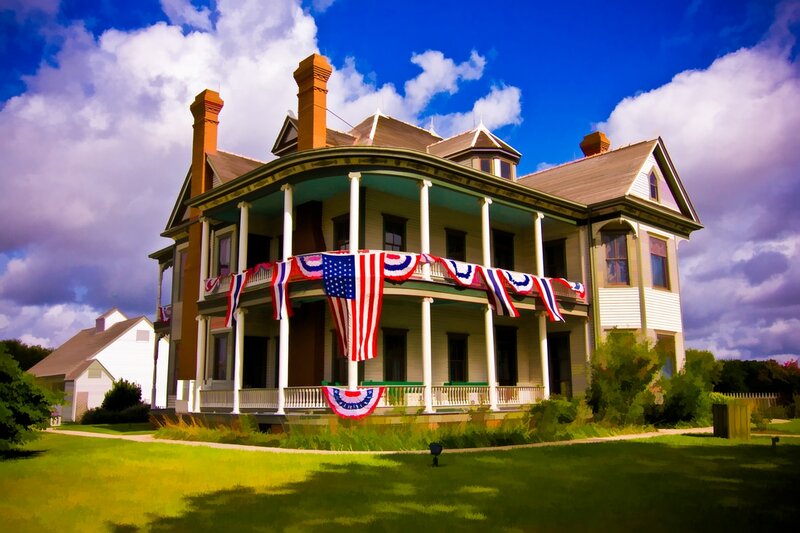 The George Ranch Historical Park is a living history partnership between the Fort Bend History Association and The George Foundation. Explore the George family's original home and barns at the 1930s George Cattle Complex. Take a tour of the George Ranch home, which was built at the turn-of-the-century and was designed by renowned Galveston architect Nicholas Clayton. You can also watch the cowboys (and cowgirls!) working cattle in the front pens. Watch them sort, rope, "brand" and then send the cattle through the chute in one of the few dipping vats still in existence in the United States. Picture life in post-Civil War Texas with a visit to the home of Polly Ryon and her husband William during the rapid expansion of their ranching operations. Learn about this remarkable second generation story amidst a time of both great struggle and great change in both Texas and the United States. Visit one of the earliest settlements of Northeast Mexico: the Henry and Nancy Jones Homestead. Interpreters recreate the conversations and daily chores, bringing life to Nancy and Henry Jones’ world – the gardens, farm, livestock, kitchens and homestead. Depending on the season, you might see “family members” tending the garden, caring for the livestock or performing domestic chores such as weaving or corn grinding.